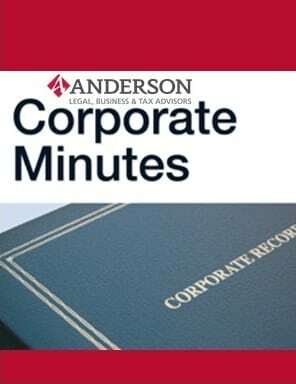 Corporate minutes are an account of the meetings had and decisions made for a corporation. Corporations are required to keep minutes accounting the details of meetings and decisions made. This requirement is placed by almost every state. Typically, these minutes will note changes in officers, directors, and shareholders, and make note of decisions made and resolutions adopted. It is important to maintain compliance by completely all annual requirements for an entity. In doing so, you are ensuring that your business is respected as a true and separate entity from yourself for tax and liability reasons.